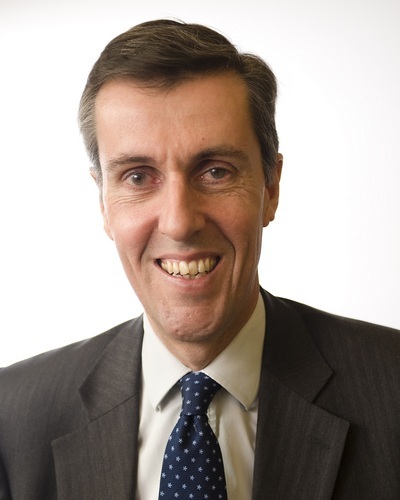 In November 2015 Lord Berkeley, the All Party Cycling Group Secretary wrote to Andrew Selous MP (below), in the Ministry of Justice regarding the Government’s proposed review of motoring offences and penalties. My letter of 18 November 2015 and the Government’s proposed review of motoring offences and penalties – written answers to questions of the Minister 14123, 14124 and 21522.
and the reason for the delay in progressing this to date. The then Justice Secretary Chris Grayling MP announced via a Ministry of Justice (MOJ) release the Government’s intention to undertake a review of all driving offences and penalties (‘the review’) as long ago as the 6th May 2014. In my original letter I outlined the subsequent chronology, and the delay in this review being progressed. I also explained that the answer you gave to written questions to the Secretary of State (numbers 14123 and 14124), were no more helpful than your response in September at a Westminster Hall debate. For reasons of brevity I will not repeat the chronology, questions and answers here, but they are clearly set out in my first letter. Question: To ask the Secretary of State for Justice, when the Government plans to commence its review of driving offences; when he plans that the public consultation on that review will take place; and what timetable he has set for the completion of that review. Answer: Driving offences can have devastating consequences for victims and their loved ones, which is why tough sentences are available to the courts. It is our intention to consult on sentencing proposals, including driving, before the end of the year. The original MOJ release indicated that the review would include all driving offences and penalties. Your recent answer only mentions sentencing, and makes no references to a review of driving offences whatsoever. Nearly two years on, I am unclear whether the Government has shelved the planned review of motoring offences, or whether your answer simply failed to mention that part of the review. Can you please clarify the remit and extent of this review? You have specifically been asked by both Ben Bradshaw and myself for a timetable regarding this review, and a commencement date. Your recent answer merely refers to ‘an intention to consult … before the end of this year’. That is eleven months away and I am unaware whether this means that the review has commenced already, will commence in some other form before the ‘consultation’ commences, or is intended to commence as and when the consultation commences. As I indicated in my earlier letter, the purpose of parliamentary questions is to afford parliamentarians the opportunity to question Ministers on relevant issues of concern. The present position is that questions have been asked at a Westminster Hall debate, CTC have written to your Department, parliamentary questions have twice been tabled, and I have written to you directly so far without response. Despite this the position is still unclear, and neither my questions nor those of Ben Bradshaw MP have been clearly or satisfactorily answered. I am also aware that only five days after your last parliamentary answer, press reports emerged referring to the Government’s intention to consider sentencing in relation to drink or drug drivers who kill people whilst in control of a vehicle, as part of a broader review or criminal sentencing, which Ministers were said to be hoping would be ready by the Queen’s Speech the following year. Whether the timescale now involves a consultation hopefully beginning before the end of the year, or whether this has now been pushed back to the next Queen’s Speech. I trust that you appreciate my frustration, and indeed disappointment, with this unsatisfactory state of affairs. I would be grateful if you could now expeditiously answer the questions repeated at the beginning of this letter, with reference to a timescale, and including clarification of the remit of the review given recent press reports.